Pedestrianization projects like those is Istanbul, Turkey can reduce traffic crashes and protect pedestrians. Photo by Andres Arjona/Flickr. Editor’s note: A previous version of this article incorrectly stated that the third Global Road Safety Week occurred in April 2014. The third Global Road Safety week is planned for 2015. Already there are 1.2 million traffic-related deaths per year worldwide. According to the World Health Organization, if we stay on a business-as-usual course, road fatalities are expected to become the fifth-leading cause of death by 2030. In order to stem this rising crisis, the United Nations Road Safety Collaboration has set up a yearly Global Road Safety Week to convene country leaders, draw attention to the urgent need to protect all road users worldwide, and create policies that advance the goals of the Decade of Action for Road Safety. But committing to road safety takes more than writing policy; it necessitates understanding not simply how urban systems should work, but the subtle ways in which humans actually act in these spaces. This understanding means true success can only occur when urban residents both refuse to accept auto-centric development and know concrete steps they can take to correct unsafe situations. In honor of the UN Global Road Safety Collaboration announcing its commitment to Global Road Safety Week 2015, TheCityFix has rounded up some of our favorite examples of cities addressing road safety challenges and their innovative solutions to bring back human-centered mobility. Istanbul, Turkey faced the problem of needing to move a daytime population of 2.5 million people efficiently around its Historic Peninsula. The city needed to advance its infrastructure to meet the needs of its residents, yet the small, twisting alleyways of the historic district made this task appear impossible without creating several highways. Yet this solution would have decimated the rich character of the area. 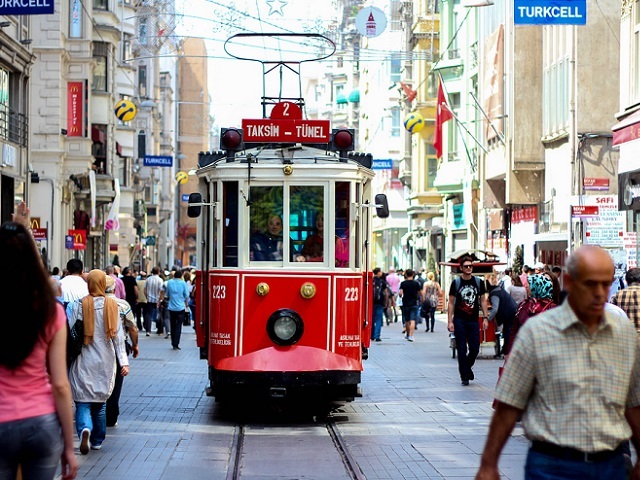 Between 2010 and 2012, the Istanbul Metropolitan Municipality and the Fatih Municipality, in collaboration with EMBARQ Turkey, worked to pedestrianize some 250 streets in Istanbul’s Historic Peninsula. In order to move people efficiently throughout the peninsula, the city also installed a light-rail trolley. These pedestrianization projects have had multiple benefits, from supporting physical activity, growing economic development through the increase in customers walking along commercial corridors, and producing better air quality. Istanbul’s example shows that it is possible to build pedestrian spaces that improve safety for pedestrians and cyclists, without sacrificing mobility. With 10 million people, the city of Bangalore has doubled its population over the past twenty years. With this increase in population has come an explosion in the rates of motorization, with 50% of households now owning motorized transport. Much of this new wealth has gone towards road construction and expansion. This increasingly auto-centric infrastructure has resulted in disappearing sidewalks and barriers between pedestrians and car users and increased congestion on roadways. This leads to an increase in traffic crashes, particularly those involving pedestrians and other vulnerable road users. But Bangalore is working to reverse this trend and restore pedestrian infrastructure. The “Towards a Walkable and Sustainable Bengaluru: A Safe Access Project for Indiranagar Metro” project looks to increase safe access to Bangalore’s metro stations for residents using all kinds of transport, while preserving the vibrant informal economy of street vendors and rickshaw drivers that rely on these transport hubs. Already, half of the world lives in cities. By 2050, 70 percent of people are expected to live in cities. If we begin to think of road safety as an afterthought in this rapid urbanization process, it will be too late. To maintain cities as locations for opportunity and innovation, we need to preserve the flow of people and goods through safe and efficient transportation. Well-planned cities that offer multiple sustainable mobility options will improve urbanites’ quality of life and provide access to opportunities. Examples like Istanbul and Bangalore, combined with EMBARQ’s other road safety work in cities across the globe, offers strong examples for how to make this safe, connected, sustainable future possible.